How Do I Contest a Construction or Mechanics Lien On My Property? – Daniel M. Copeland, Attorney at Law, P.A. 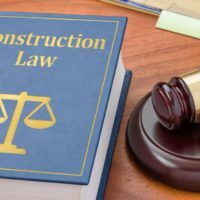 How Do I Contest a Construction or Mechanics Lien On My Property? A construction or mechanics lien is valid for one (1) year, unless a lienor files a lawsuit to enforce the lien prior to the expiration of the one (1) year. It is important to note that an owner has a right to file a Notice of Contest of Lien during the one (1) year period. If the owner does file a Notice of Contest of Lien, a lienor must file a lawsuit to enforce the lien within sixty (60) days. Failure of the lienor to timely file a lawsuit renders the lien invalid. The construction lien law is complex and cannot be covered completely in this blog. We highly recommend that whenever a specific issue arises, you immediately give us a call. Daniel M. Copeland, Attorney at Law, P.A. looks forward to helping you! Please contact us today to schedule your consultation.